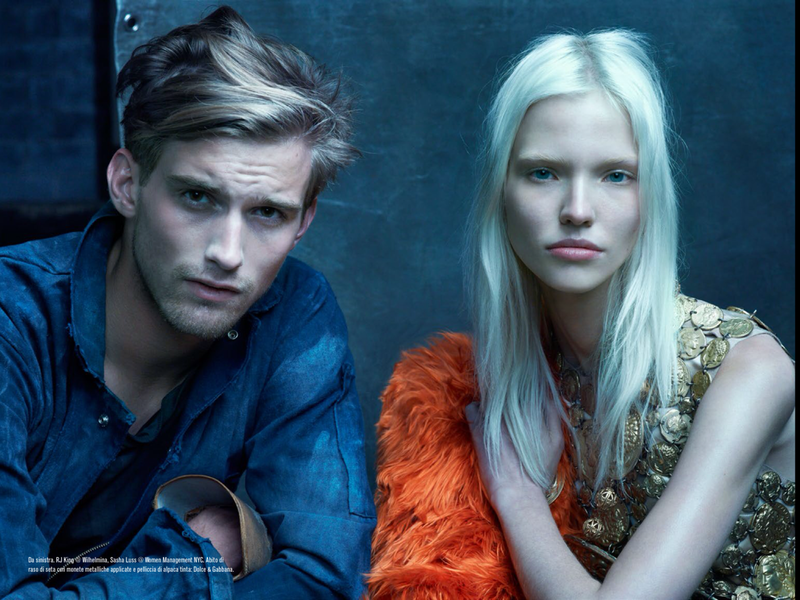 Vogue Italia and resident photographer Steven Meisel renounce the familiar faces of 2013 with a new model army of the Spring/Summer 2014 season's most in demand runway stars. 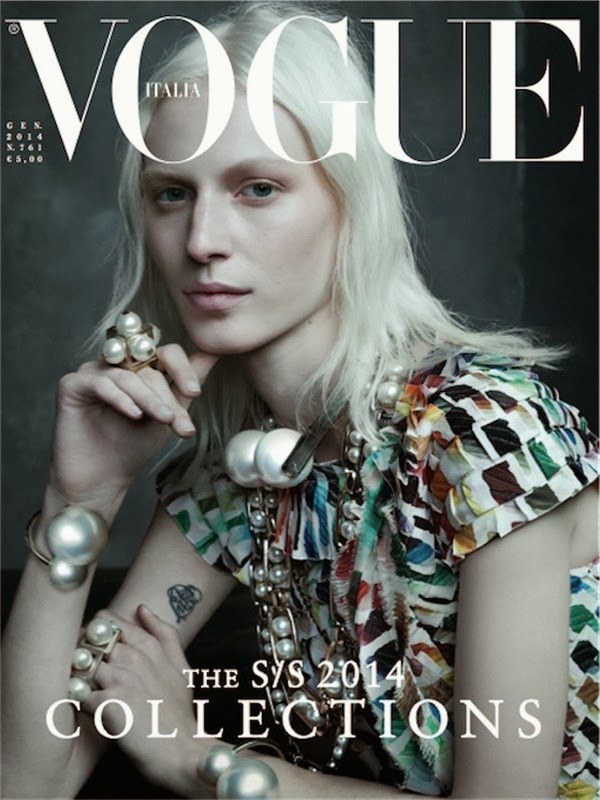 Australian reigning catwalk queen Julia Nobis leads the charge nabbing the all important January 2014 cover spot in the process with a cast of newcomers and model as muses rapidly following suit. Red hot newbies Sasha Luss, Ashleigh Good, Vanessa Axente, Cindy Bruna, and Lexi Boling, are joined by muses Jamie Bochert, Iselin Steiro, Caroline de Maigret, and Kim Williams for the editorial which showcases the best of the Spring/Summer 2014 collections. Playing a supportive role are a selection of roguish male models and the impossibly beautiful RJ King. Fashion Editor Karl Templer casts a magical spell over the proceedings with designs by Chanel, Prada, Versace, Louis Vuitton, Alexander McQueen, Givenchy, and Gucci interwoven into Meisel's stunning group portraits. The blossoming trio consisting of Sasha Luss, Vanessa Axente, and Ashleigh Good outshine the rest of the cast and establish themselves as newcomers with true tangible longterm prospects. Equally gratifying is the selection of Julia Nobis for her first solo Vogue Italia cover wherein she evokes a regal presence, elegance, and grandeur rarely seen in modelling nowadays.